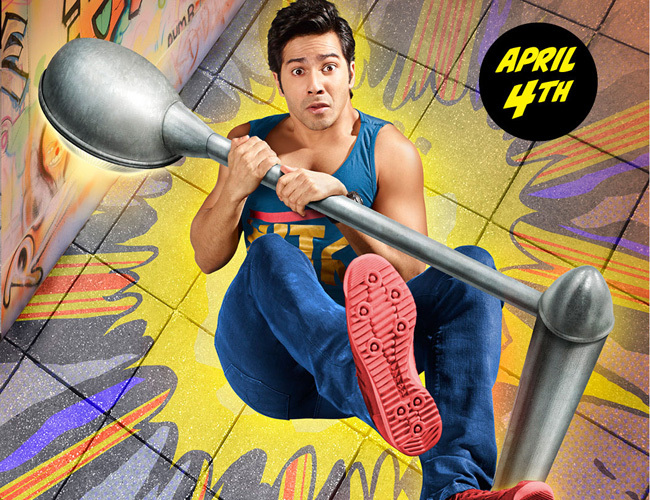 Directed by the comedy master David Dhawan and acted by his son Varun Dhawan this movie is expected to take the third or even the second highest 1st day collection of this year. Main Tera Hero has released this Friday with a good word of mouth and awesome opening day performance. However there were few things associated with the obstacles in its way for collecting more and affecting its business as like ongoing T20 World Cup and bit of the influential state of mind of people due to 2014 elections political atmosphere. Apart from them everything seems healthy for this movie to do good business at the box office and first 50 Crores are possible in the first week of the movie. It has opened well at box office yesterday being its first day of release and especially the multiplexes shows in the morning were quite good. It has registered an average occupancy of around 40 % on its opening day following the same trend on the second day of its release. Film’s good music, superb star cast, David Dhawan being the director and Varun Dhawan who is the rising Bollywood actor has assured a good opening for the first weekend of Main Tera Hero on box office. After the successful opening on its first day of release now the movie is heading towards much good figures at the cash registers. Second day is showing better performance than the first day and it is being predicted that tomorrow may bring the highest collection for Main Tera Hero as per the reports. As estimated the 2nd Day Box Office Business done by Main Tera Hero is near around 8 Crores . We will update you 1st weekend report of Main Tera Hero very soon so don’t go anywhere for much interesting news.